BetCoin is a Bitcoin sportsbook that opened in 2013 but has already made quite the splash. The sportsbook, which also offers a poker room and casino, is marketed mainly to those in North American markets. US sports and betting markets are prominently featured making the book an excellent choice for Americans, especially considering the crackdown by the Federal government on more traditional fiat-based sportsbook operators. New accounts will have to provide an email address, along with a username and password to BetCoin Sports to deposit. No other information is required. The sportsbook accepts both Litecoin and Bitcoin, something that is currently rare among alternative currency bookmakers. New accounts will need to be approved before players can log into the casino and sportsbook. This process takes a few minutes during normal business hours, which are from 10am to 10pm Eastern Standard Time. If a bettor deposits immediately, their account will be approved for play in the sportsbook and casino within minutes. It may take slightly longer for others to be approved. This process is strange and may make some bettors uneasy, but BetCoin explains their reasons for these restrictions. They got a lot of spam in their first few months of opening, and too many dormant accounts were wasting their time. They use this method to make sure that all their depositing players have the best possible customer service experience. BetCoin is one of the few Bitcoin sportsbooks that offer a deposit bonus. If bettors deposit 5 BTC or more on their first transfer, they will receive a 1 BTC maximum bonus. Depositing more than 5 BTCs will not result in a higher bonus. Their bonus clearing requirements are generous, but a bit complicated. Players must wager a minimum of 20 times in the casino or sportsbook, but must have a minimum of 10 wagers in the sportsbook alone. While that seems harder to keep track of, it should be easy to do, especially if you just bet sports. The good part is that the overall rollover is just 3x the amount of the deposit and bonus amount. If a player deposits 5.0 BTC, plus his 1.0 BTC bonus, the rollover amount would be 18 bitcoins. This is an extremely generous rollover requirement and is one of the better rollover rates available at any online bookmaker, not just BTC sportsbooks. When players deposit at BetCoin Sportsbook or their casino and poker room, their Bitcoins will be converted into their own virtual currency, Universal Sports Dollars. Abbreviated as USD by the sportsbook, we wonder if this is a tongue–in-cheek shot at the world’s largest fiat-currency, the United States Dollar. USD as they are called, are essentially betting credits based on the amount of bitcoins in a player’s account. 1 BTC equals 1,000 Universal Sports Dollars. USD Credits are used in the same way and are worth the same amount in both the casino and poker room as well. Whether you’re interested in checking out their Bitcoin sportsbook or you’re contemplating trying your luck on their Bitcoin slots, we’re certain that you’ll enjoy playing at the one and only BetCoin Sportsbook. As I mentioned above, BetCoin is probably best for bettors in the United States and Canada. The vast majority of their markets, including live betting or in-play wagering are focused on the big four American sports. The NFL, NBA, NHL and MLB are all covered extensively, along with college basketball and football. The more popular worldwide sports are on offer in addition. This includes tennis, soccer, mixed martial arts, cricket, rugby, boxing, auto racing and more. Bet types will be familiar to players from those countries as well. There are parlays, teasers, if-bets, reverse, and round robin wagers. Future bets are common for almost every league available, but proposition betting markets could use some work. The odds at BetCoin are right around average in the grand scheme of online sports betting. There are competitive odds to be found at most major sports close to game time, and that’s all a lot of bettors desire. The potential 1 BTC deposit bonus does make up for the lack of elite odds. The minimum wager at BetCoin’s sportsbook is 5 USD Credits or the equivalent to 0.005 bitcoins. Like many other Bitcoin sportsbooks, BetCoin do not yet have the liquidity to offer betting limits higher than 1 BTC on sides and totals. On some less popular markets and bet types, the maximum amount will be even lower. One important caveat at BetCoin is that no wager can be placed that has a potential winning over 5.0 BTCs. This is a strange bet limit, and though it doesn’t make us doubt their financial stability as a book, it does limit bettors on how many selections they can add to parlays, teasers, etc. During business hours, BetCoin offers a live chat feature that can respond to gamblers’ queries in a matter of seconds. They also offer email support via betcoinsports.com. Response from support is quiet during business hours. Most emails are responded to within a few hours or less. Many Bitcoin sportsbooks offer instant withdrawals that are automated by their betting platform or software. BetCoin does not offer this, but withdrawal requests rarely take longer than 15 minutes to process during office hours between 10am and 10pm Eastern Time. During off hours, these requests may take up to 8 hours to process. BetCoin sportsbook is a middle of the road option for Bitcoin sports bettors. While they match up decently against middle of the road fiat-based sites, at least odds wise, their betting limits and total number of markets aren’t up to par with other Bitcoin sportsbooks. The deposit bonus is nice, but it is clear that this sportsbook favors recreational sports bettors. That is not to say the sportsbook is a poor option by any means. It is certainly worth checking the site out and taking advantage of the 1.0 BTC deposit bonus. Check out this Sportsbook Now! Here is 1 on us! 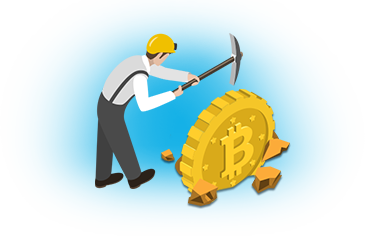 digging for all the latest bitcoin bonus offers!